brandflakesforbreakfast: can an app curb texting and walking? can an app curb texting and walking? 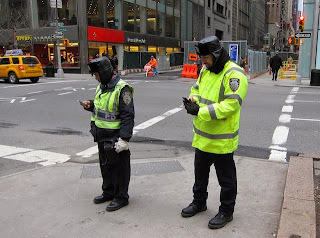 Although not as dangerous as texting while driving, texting while walking is surely not safe either. In an effort to make our crosswalks safer, AT&T has developed an app development competition in an effort to get pedestrians and drivers to put down the phones for the duration of their trips. The results should be interesting, and most likely frustrating for anyone addicted to their phone.